We invite you to experience our 2019 conference, Small Act, Big Impact, and expose yourself to this year's selection of Ideas Worth Spreading. We have a fascinating lineup of speakers, including current Duke students, faculty, alumni and local community members. Exchange ideas with our speakers during intermission, and take your experience beyond the event by introducing important community-wide discussions and answering calls to action! In the spirit of ideas worth spreading, TED has created a program called TEDx, a program of local, self-organized events that bring people together to share a TED-like experience. TEDxDuke is completely self-organized by Duke University undergraduate students who believe that ideas are not set in stone, and when exposed to thoughtful people, can morph and adapt into their most potent form. 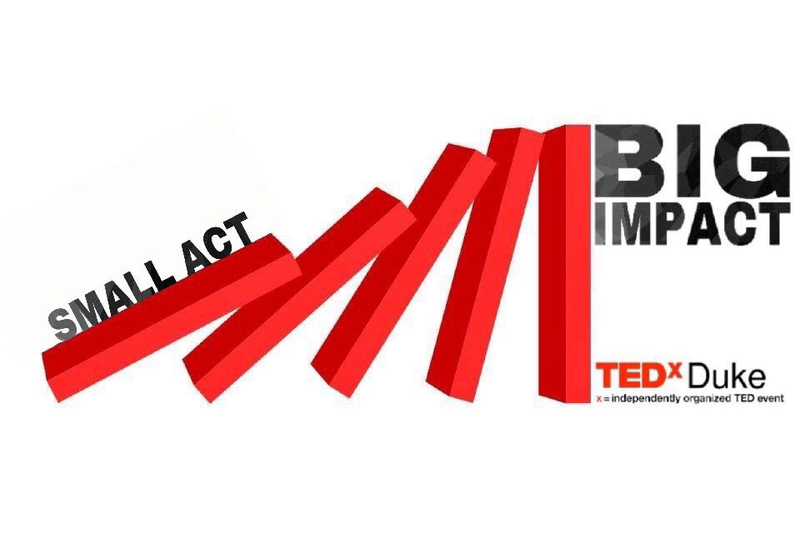 For more information about TED, you can visit: www.ted.com or www.tedxduke.com.